A delicious 12 oz. pasty with Wisconsin cheddar cheese, farm fresh potatoes, sweet rutabaga, carrots, celery, cream of mushroom soup, onions, and salt & pepper. All this wrapped in our famous crust. 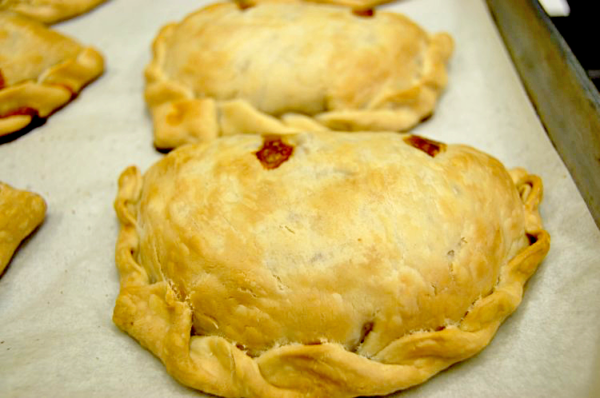 Want to pick up your pasties hot or frozen in-store at no extra charge? 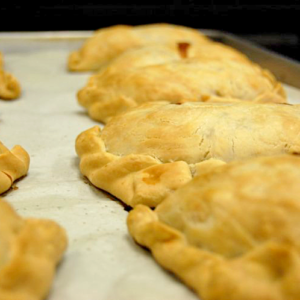 Choose which store you'd like to get your pasties from and what time you'd like to pick them up. 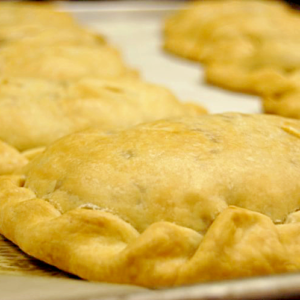 We require as least two hours to prepare your pasties. Please make sure to select "Local Pickup" when choosing your shipping options. 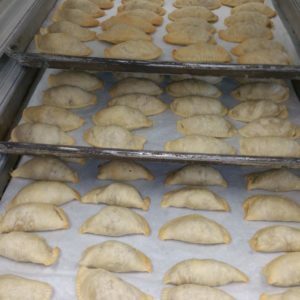 When would you like your pasties ready? 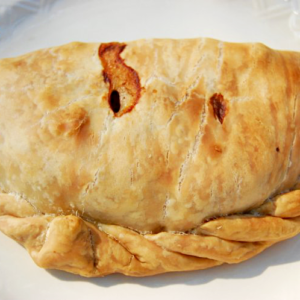 Add a Heinz Mini Ketchup to your pasty order!